Today, IT is at the epicenter of every company. IT runs the infrastructure and applications that operate core parts of the business, including transaction and payment systems, inventory control, sales and ordering systems, and sometimes even the product. IT’s job in this business climate it is to enable the rest of the company to move as fast as they possibly can. Unfortunately, speed often comes at the cost of control. IT still needs to protect the company and ensure that all of its digital assets are secure, under control of the company, and that they haven’t been compromised. That element of control is generally what slows companies down and ends up being the Achilles heel of organizations wanting to move more quickly. Modern IT organizations are learning how to control their IT infrastructure and resources while enabling their users to move quickly, make more decisions for themselves, and increase productivity. This starts with building a core, central system that tracks who needs access to what resources. It also means enabling each functional area to choose what tools and technology they leverage for their mission, while still protecting the company’s interests. Businesses are looking to decentralize decision making and operations, IT can catalyze that by flexibly integrating each area’s needs into the IT’s requirements for central visibility and security. So how is this done? A wide variety of approaches and techniques have sprung up to deal with the decentralization of business, but some are having a more negative impact instead of a positive one. Truly adept and flexible IT organizations have been using their “judo moves” to integrate these approaches seamlessly into their operating culture – and thereby increase their ability to control and secure the business. Effective techniques and best practices are out there, but it’s not like you have all the best IT organizations on the planet on your speed dial. That’s why we’ve been compiling a resource that aims to tell the secrets of how organizations are keeping up with decentralization by utilizing such techniques as DevOps, BYOD, SaaS-based solutions, hybrid infrastructure, and others. Along with our thoughts on the topic, key IT thoughts leaders such as Ben Kepes, Gene Kim, Tony Bradley, and Alan Shimel share their perspectives on how IT can move faster while still staying under control. 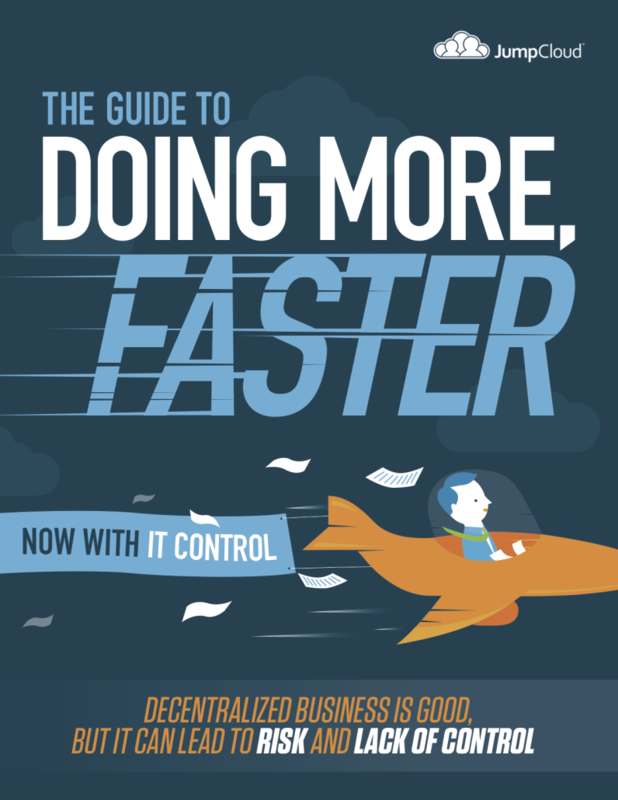 Download our eBook Doing More Faster, Now with IT Control to read about how your organization can move faster, but with control and security.